Is It Legal Or Illegal To Unlock My Smartphone In The US? Unlocking cell phones in the United States is no longer a criminal offense, after President Obama signed into law the Unlocking Consumer Choice and Wireless Competition Act. The bill — which enjoyed bipartisan support in both the Senate and the House Of Representatives — will give consumers more choice with respect to how they use their cell phones, and with what providers they use. Unlocking phones was made illegal in early 2013, when an exemption that had been issued to a clause in the Digital Millennium Copyright Act (DMCA) lapsed. Tools used to remove the carrier locks on devices without the permission of the phone networks were also considered to be illegal under similar legislation. The exemption will only be valid through 2015, meaning that another exemption will have to be issued when it expires. Until then, consumers are free to move their phones on to other networks without risking jail time or a steep fine. But are you curious about the laws surrounding phone unlocking in the United States? Read on. How Does The DMCA Relate To Phone Unlocking? The DMCA is a significant piece of legislation that was first introduced in 1998 and brought the US into harmony with two treaties from the World Intellectual Property Organization (WIPO). It was designed to protect rights holders and content creators, and when it was signed into law by President Clinton, the Internet was very much in its infancy. Broadband didn’t really exist — at least for consumers — and in terms of usage was nowhere near to reaching the massive level of ubiquity it enjoys now. The DMCA remains a phenomenally controversial piece of legislation, largely due to greatly stiffening the penalties for copyright infringement. But in many respects it was also remarkably forward thinking. The ‘Safe Harbor’ provisions of the DMCA allowed site operators to avoid responsibility for the copyright infringement of their users, provided that they removed infringing material within a reasonable period Chilling Effects – A Lesson In DMCA Takedown Notices Chilling Effects – A Lesson In DMCA Takedown Notices The Digital Millenium Copyright Act (DMCA) is a major slice of law put in place by the United States government in order to crack down on piracy. Chilling Effects is an information portal and compendium... Read More after being alerted to the existence of it. This exemption allows sites that host user-submitted content — like Facebook, Vimeo, and Youtube — to operate without being sued into oblivion by rights holders. So, what’s a piece of legislation designed to protect rights holders got to do with cell phones? Well, despite the DMCA being relatively forward thinking for the year 1998, there were also some major issues with how the act was written. These relate to the anti-circumvention provisions in the second portion of Title One of the act. The issues with this section were two-fold. Firstly, the act prohibits circumventing digital locks that can control access to copyrighted works. Sadly, the way in which this section was written was far too broad-reaching, and meant that using tools to circumvent the carrier locks on cell phones was illegal. Another significant issue was that the DMCA had no fair-use exemptions included, which meant that it was impossible to use a personal-use justification for unlocking phones. And that was the case for a while, until 2006 came around. In 2006, the Library Of Congress (LOC) issued an exemption to the DMCA that made cellphone unlocking legal. This helpful exemption stuck around until 2012, when the LOC decided not to renew it, making cellphone unlocking illegal once again. The exemption officially expired in January of 2013. The LOC justified letting the exemption expire by saying that consumers had the option of buying plenty of mobile phones without any carrier locks. By this, they referred to phones like the Nexus 4 and the iPhone, which could be bought without having to enter into a contract. 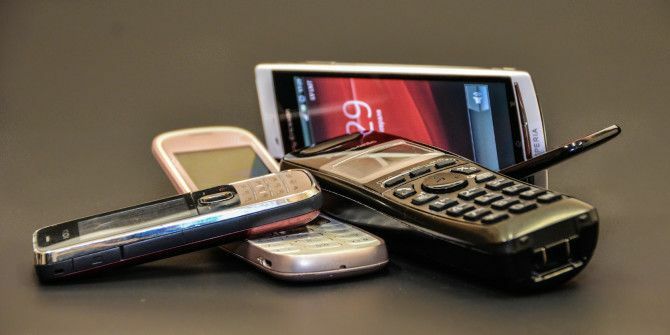 Opponents of this decision argued that not all phones could be bought without a contract, and that this would allow wireless carriers to unfairly refuse to unlock devices. And now, the current legislation that was just signed into law changes all of this. It’s now legal to unlock your phone on your own without getting on the wrong side of Uncle Sam. At least until 2015, when we’ll have to go through this all over again. Fun, right? It’s probably not fair to go too hard on the US carrier market. For the most part, if your contract has ended in the US, you should be able to unlock your phone. T-Mobile is happy to unlock any devices, provided that the account associated with the device is in good standing, the phone is a T-Mobile device that hasn’t been reported as lost, stolen or blocked, and all payments have been completed and satisfied in full. Verizon will unlock any phone, provided that it has been active for 60 days and the account associated with the device is in good standing. This policy applies to 3G phones, as 4G devices are not locked. Sprint will unlock any device, provided that the contract associated with the device has lapsed, and the account is in good standing. Thinking of unlocking your phone? You can breathe a little easier now that the rules have been changed. At least until 2015. Got any thoughts on this topic? Let me know. The comment box is below. 5 Ways to Transfer Data From PC or Laptop to Android PhoneExploring Android L: What Exactly Is Material Design? Today is Feb 16, 2017. the informations need updating. is if you buy an android phone let's say for six hundred USD . That phone is your property after you have completed your contract with the carrier you signed with . So long story short unlocking any phone that is not contradictorily tied to a company is yours to do as you damn well,please . Some of these corporations practice what I call overreach , What I mean by that is them attempting to stay in your pocket for as long as you may live . Verizon we didn't get married . I just bought a simple cell phone from you . Since most of the government agrees that DMCA is just badly drafted so it seems to cover phone unlocking, but clearly never intended such a result, you can just assume phone unlocking is NOT illegal under DMCA. To sue a person for doing it based on a tendentious misreading of a law clearly not intended to do that would chew up time and money no prosecutor or civil litigant would have any incentive to bring. And if they tried just for fun, they would risk punitive damages assessed against them for the bringing of frivolous suits. DMCA was obviously intended only to deal with hacking to infringe copyrighted materials. Not this. One reason to buy an locked phone on your own and subscribe to service provide like T-Mobile who allow that. We are fortunate in India as phones are totally unlinked from the service providers, in other words ALL phones are unlocked! We also have one BIG advantage. We have no such thing as burner phone. What I fail to understand is the way US laws work. Franchise can be easily circumvented at state level by stupid laws but burner phones cannot be banned in spite of their being used for 99 % of criminal and terrorists activities ! Called att yesterday. Got the unlock code this morning in e mail. This was for my sons old s3. We got him a tmo sim and plan no problem. Yes, its 3g. But very good coverage in the city. Music lover. I dont know if it has changed due to this law ? With at&t gophone or even a resold contract phone. You had to have six months of billing before they would unlock it. Will have to check with them and see. If its no longer true or im mistaken. That would be great. That should have changed after the new law went into effect. Is you talking about rooting your smartphone or tablet and get rid of all carrier bloatware and using a custom rom on them. You might want to let people know who you are speaking to. My family has several phones. Are you talking about one of them? Or is your comment to yourself? You might want to let people know who or what your talking about? Were you asking yourself? If it was for us? Which phone? Luis, no. Unlocking your phone means allowing a phone to work on another carrier than it was originally intended. For example, switching a Verizon branded phone to Sprint when your contract is up.